Let us first understand, what is Mutex aka Mutual Exclusion. Mutex is the short-form for mutual exclusion object. In computer programming, a mutex is a program object that allows multiple program threads to share the same resource, such as file access, but not simultaneously. When a program is started, a mutex is created with a unique name. After this stage, any thread that needs the resource must lock the mutex from other threads while it is using the resource. The mutex is set to unlock when the data is no longer needed or the routine is finished. Mutual exclusion, in computer science, refers to the problem of ensuring that no two processes or threads (henceforth referred to only as processes) can be in their critical section at the same time. Here, a critical section refers to a period of time when the process accesses a shared resource, such as shared memory. The problem of mutual exclusion was first identified and solved by Edsger W. Dijkstra in his seminal 1965 paper titled: Solution of a problem in concurrent programming control. A simple example of why mutual exclusion is important in practice can be visualized using a singly linked list. In such a linked list the removal of a node is done by changing the “next” pointer of the preceding node to point to the subsequent node (e.g., if node i is being removed then the “next” pointer of node i-1 will be changed to point to node i+1). In an execution where such a linked list is being shared between multiple processes, two processes may attempt to remove two different nodes simultaneously resulting in the following problem: let nodes i and i+1 be the nodes to be removed; furthermore, let neither of them be the head nor the tail; the next pointer of node i-1 will be changed to point to node i+1 and the next pointer of node iwill be changed to point to node i+2. Although both removal operations complete successfully, node i+1 remains in the list since i-1 was made to point to i+1 skipping node i (which was made to point to i+2). This problem can be avoided using mutual exclusion to ensure that simultaneous updates to the same part of the list cannot occur. Now, let us understand another very similar terminology called Semaphore. What is a Semaphore ? In programming, especially in Unix systems, semaphores are a technique for coordinating or synchronizing activities in which multiple processes compete for the same operating system resources. A semaphore is a value in a designated place in operating system (or kernel) storage that each process can check and then change. 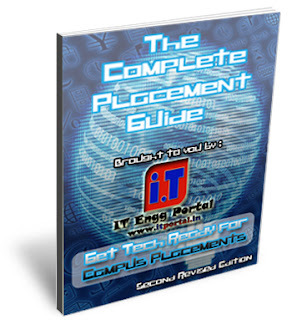 Depending on the value that is found, the process can use the resource or will find that it is already in use and must wait for some period before trying again. Semaphores can be binary (0 or 1) or can have additional values. 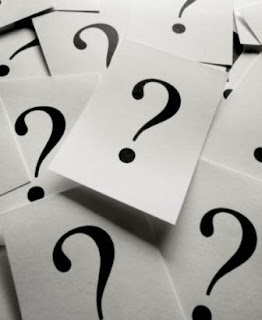 Typically, a process using semaphores checks the value and then, if it using the resource, changes the value to reflect this so that subsequent semaphore users will know to wait. to share access to files. Semaphores are one of the techniques for interprocess communication (IPC). 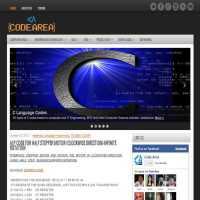 The C programming language provides a set of interfaces or "functions" for managing semaphores. 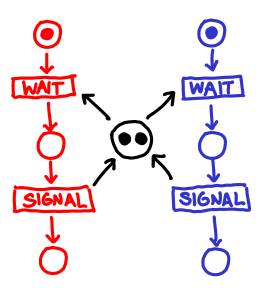 In simple terms, a semaphore is a variable or abstract data type that provides a simple but useful abstraction for controlling access by multiple processes to a common resource in a parallel programming environment. A useful way to think of a semaphore is as a record of how many units of a particular resource are available, coupled with operations to safely (i.e., without race conditions) adjust that record as units are required or become free, and if necessary wait until a unit of the resource becomes available. Semaphores are a useful tool in the prevention of race conditions; however, their use is by no means a guarantee that a program is free from these problems. Semaphores which allow an arbitrary resource count are called counting semaphores, while semaphores which are restricted to the values 0 and 1 (or locked/unlocked, unavailable/available) are called binary semaphores (same functionality that mutexes have). When to use mutex and when to use semaphore? 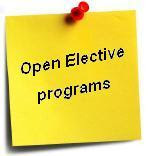 Concrete understanding of Operating System concepts is required to design/develop smart applications. As per operating system terminology, the mutex and semaphore are kernel resources that provide synchronization services (also called as synchronization primitives). Note that the content is generalized explanation. Practical details will vary from implementation. Consider the standard producer-consumer problem. Assume, we have a buffer of 4096 byte length. A producer thread will collect the data and writes it to the buffer. A consumer thread will process the collected data from the buffer. Objective is, both the threads should not run at the same time. At any point of time, only one thread can work with the entire buffer. The concept can be generalized using semaphore. 1. Can a thread acquire more than one lock (Mutex)? Yes, it is possible that a thread will be in need of more than one resource, hence the locks. If any lock is not available the thread will wait (block) on the lock. 2. Can a mutex be locked more than once? 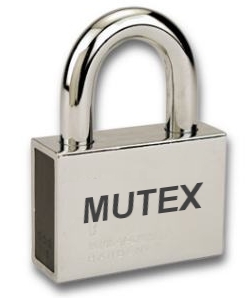 A mutex is a lock. Only one state (locked/unlocked) is associated with it. However, a recursive mutexcan be locked more than once (POSIX complaint systems), in which a count is associated with it, yet retains only one state (locked/unlocked). The programmer must unlock the mutex as many number times as it was locked. 3. What will happen if a non-recursive mutex is locked more than once. Deadlock. If a thread which had already locked a mutex, tries to lock the mutex again, it will enter into the waiting list of that mutex, which results in deadlock. It is because no other thread can unlock the mutex. An operating system implementer can exercise care in identifying the owner of mutex and return if it is already locked by same thread to prevent deadlocks. 4. Are binary semaphore and mutex same? No. We will suggest to treat them separately, as it was explained signalling vs locking mechanisms. But a binary semaphore may experience the same critical issues (e.g. priority inversion) associated with mutex. We will cover these later article. A programmer can prefer mutex rather than creating a semaphore with count 1. 5. What is a mutex and critical section? Some operating systems use the same word critical section in the API. Usually a mutex is costly operation due to protection protocols associated with it. At last, the objective of mutex is atomic access. There are other ways to achieve atomic access like disabling interrupts which can be much faster but ruins responsiveness. The alternate API makes use of disabling interrupts. The semantics of mutex, semaphore, event, critical section, etc… are same. All are synchronization primitives. Based on their cost in using them they are different. We should consult the OS documentation for exact details. 7. Can we acquire mutex/semaphore in an Interrupt Service Routine? An ISR will run asynchronously in the context of current running thread. It is not recommended to query (blocking call) the availability of synchronization primitives in an ISR. The ISR are meant be short, the call to mutex/semaphore may block the current running thread. However, an ISR can signal a semaphore or unlock a mutex. 8. What we mean by “thread blocking on mutex/semaphore” when they are not available? 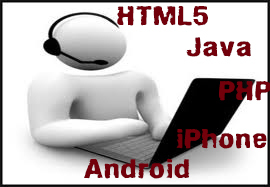 Every synchronization primitive will have waiting list associated with it. When the resource is not available, the requesting thread will be moved from the running list of processor to the waiting list of the synchronization primitive. When the resource is available, the higher priority thread on the waiting list will get resource (more precisely, it depends on the scheduling policies). 9. Is it necessary that a thread must block always when resource is not available? Not necessarily. If the design is sure ‘what has to be done when resource is not available‘, the thread can take up that work (a different code branch). To support application requirements the OS provides non-blocking API. For example POSIX pthread_mutex_trylock() API. When the mutex is not available the function will return immediately where as the API pthread_mutex_lock() will block the thread till resource is available.